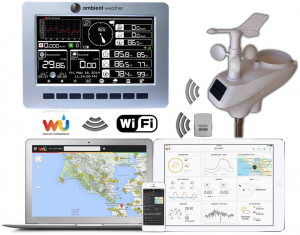 You are here: Home / What Is A Home Weather Station? Predicting the weather has always been said that it is not an exact science, but the meteorologists often come close to the real weather all the time they make a forecast. The meteorologists will often just offer information about the weather in a certain city, and not the local places. You would see that a certain city would experience rain, but only a portion of the city does that. All that can change in the case you want to know more about the weather conditions of Measuring temperature around your home. If you have such ambitions, then you need to get yourself a home weather station. 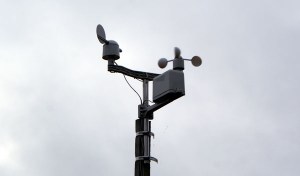 The work of such a weather station would be serving you to the most accurate detail about the weather patterns in your exact area. Instead of relying on the smartphone apps, which are often unreliable in providing the information about the weather, it is time to use the real equipment meant to handle the weather patterns. These instruments will always offer the right weather patterns just at the right price. When it comes to weather enthusiasts, those people would want to be updated about the different weather conditions at all times. Such people include farmers, hikers, aviation enthusiasts among many others. With the right devices, you can always measure the different weather conditions before deciding whether to go outdoors or not. A person also planning a flight plan would benefit from having a personal weather station. For those preparing for a marathon or jogging is just their thing, they would want to know more about the weather patterns first. The runner will check to see if the weather is clear for the next couple of hours to enable him to have a nice run. It is not just for runners, but also other people who love outdoor sports. If you are going to enjoy some fishing or any other water sports activity, then it is important to understand how the weather looks. The common weather conditions such a person would be on the lookout for would be rain and wind. The wind can be helpful for a sail, while rain is not always a good thing as storms might just show up while you are out in the water. You just woke up, and you are not sure what to wear for work. It is important that you get to understand how the weather looks before making up your mind on the clothes to wear. If you check your devices, and they show rain is coming up anytime soon, then you can know what to wear for the day. Well, having a personal weather station could be quite impressive for the kids to learn a thing or two about science from the instruments used. The kids will be able to expand their knowledge about the weather if they have the physical access to instruments that measure weather. You will need the necessary instruments to help measure the weather patterns in an area. The following are some of the instruments to get to complete your station, thus making it functional. Thermistors: The Thermistors are designed to have a thermally active resistor important for detecting and measuring the temperature changes in a place. The temperature measurement happens in relation to the changes in the resistance output. For a great model, the thermistor will have a linear variation of the temperature throughout the different temperature changes. RTD Probes: In full, RTD means Resistance Temperature Detector Probes. Even from the name, it is easy to see that this instrument would help in temperature detection. The device comes with a pure metal, which will change in temperature even with the slightest change in the temperature. 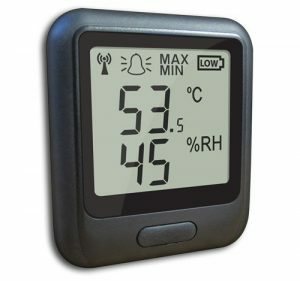 It will help you monitor the changes in temperatures even in small quantities. Thermocouples: The thermocouples work by having two different metals joined, thus creating a voltage whenever there is a temperature variation from the reference temperature. Its working capability depends on the electromagnetic force that will be generated at the metal junction. The difference in the temperature is noted showing a rise or fall in temperature. 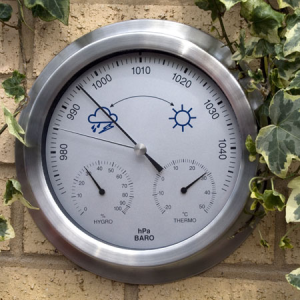 When it comes to relative humidity, then you will need to use a hygrometer. The hygrometers have evolved over time to now smaller devices that can easily measure the humidity in the air with ease. Most of these hygrometers would have a capacitor important to measure the difference in humidity. The sensors on the hygrometer will have a polymer material as a layer important for absorbing water molecules. Such an activity will cause changes in the capacitance of the hygrometer. The change in relative humidity is then compared with the relative changes over time. You might often find the hygrometer being mounted next to temperature sensors to ensure the calculate value is in relation to the changes in temperature. A barometer would be important in this case if you have to measure the pressure changes in an area. The electronic pressure sensors will be implemented into the barometer to help with faster detection in the changes in temperatures. When the electronic pressure sensors detect the pressure, all that is channeled to a force collector. It is at this point that the strain due to the pressure is measured. Once the strain is determined, it will cause a change in the electrical sensitivity of a metal in the barometer. It is when a voltage output is recorded. The output is normally analog, so there is the need to convert it back to digital. That is how you get to know more about the pressure of a place on the barometer screen. The rain gauge is the most common type of instrument you can never miss in a weather station. The rain gauge has also changed with time to now more effective rain gauges that are even more effective. By using the self-emptying bucket technology, you should be able to measure rain effectively each time it rains. By using the 8-inch collection area, it is often known that you will get the best results in terms of accuracy. It is often that you will find such an instrument having a debris and insect mesh. This should help keep the instrument clean at all times. an easy time checking out the wind direction and speed too. Sonic anemometer: this type of anemometer uses ultrasonic sound waves to estimate and measure the speed of wind in a certain area. It works by comparing the different flight of the sonic pulses in an area. The sonic pulses will be passed through the transducers and can amazingly measure the velocity in a flow of 3 dimensions. Cup anemometer and wind vane: you might get the cup anemometer mostly with a wind vane, but it will be mounted separately. The three cups are the ones used for measuring the wind speed and the direction too. By checking out the direction of the cups during a strong or mild wind, you can easily know where the wind is going and the speed too. The wind vane will now give you the exact location the wind is coming from and records the analog signal for the speed. It is from the signal that the wind speed is calculated. 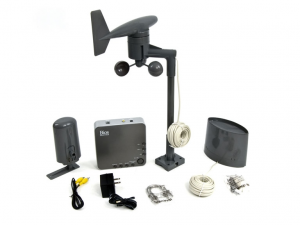 You can still get a propeller anemometer, which is a slight variation from the cup anemometer and wind vane. You have to be smart about where you would want to install the weather instruments so that they can actually work properly. It is often that you end up with the wrong results, when you do not install the instrument correctly or in the right location. Take an example of having your rain gauge under a tree, then you can expect that the rainfall amount collected in such a case would not be the true representation of the rainfall in the area. The same thing applies when you keep the anemometer in enclosed places or an alley. The alley will create a wind tunnel effect on the instrument, thus you will end up with erroneous data on the wind speeds and direction. Such mistakes that many people among many other reasons, you will need an installation guide to aid you make up your mind on how to install the instruments to have a great weather station. It is often that you might end up with erroneous measurements of the temperature when you do not follow a few simple steps. It is always advisable that you measure the temperature within a shade, but making sure there is plenty of ventilation to such a place. Here are things you should always consider if you want to get accurate temperature measurements. If you have to keep the thermometer on the roof, keep it 5 feet or more above the roof. It will ensure that changes in roof temperature do not affect the thermometer. If you have to keep the thermometer outdoors, it would be nice to have a radiation shield for the thermometer. Your weather station with the radiation shield can now be placed in direct sunlight without worrying about false readings anymore. The radiation shields also often have a large room to handle the ventilation needs for your thermometer. Measuring the humidity is quite important, so anything that might influence the normal humidity in the air would really be unnecessary. Plants and other types of water bodies easily affect the humidity. This means that you have to keep your hygrometer away from things such as trees and water bodies such as swimming pools in the compound. 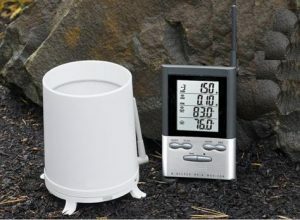 With rain collection, you will need the rain gauge in the right place to get the correct reading. It is the reason you find most rain gauges in a large field so that the measurements is not impaired at all. The nearby buildings might often create shadows; thus you end up missing some rain falling into the rain gauge. The common rules dictate that you keep the rain gauge at about 5 feet from the nearest obstruction. Still, for such obstructions, they should not be more than 10 feet tall, or you will have to look for other locations. It would be important that you get to install the anemometer in the right place for it to get the right wind speed and direction. If the tall trees and building block the wind, it can be hard to get the right measurements. You also need to think in the line of rain gauge installation, as it should be in a location such as a large field without the obstructions of the tall buildings. You can use the rooftop, as a mounting point as it will be free from the obstruction. The minimum height you can use to get the speed of wind is about 10 meters above the ground. This is especially when there are no other buildings around. Take the time to perform a site survey to know if the location of your home would be ideal for setting up the home weather station. It is at this point you can decide to have an indoor or outdoor weather station. If the devices are going to communicate wirelessly with the control units, make sure that the installation will happen within the communication range. Other sensors might require wiring of cables first before they can work. Make sure that you have all the tools needed for such type of installation. Even before you can decide on mounting the devices, they should be working. Take several tests and comparing them to reference results and see if they actually work. For the wired installation, consider having your cables running through an electrical conduit. Leaving them bear might just be a problem, especially if you live in a place with many rodents. 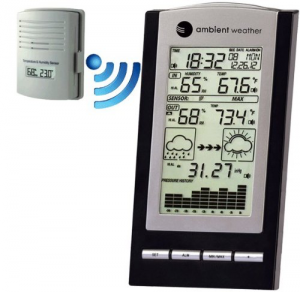 Below is a video you could use to install a weather station in your home. The weather station for home will come in different shapes, designs, functionality and sizes. It is important that you understand what will work for you the best. In such a case, you need to learn about the important things to keep in mind when making the purchase. 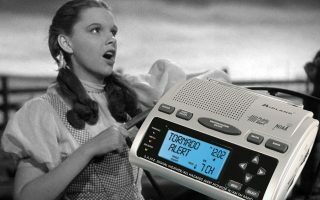 A basic weather radio station is just supposed to serve as an informer, but that might vary a lot depending on the needs of the users around it. Some might want a basic station for just knowing about the climate of the day, while others would want sophisticated equipment to forecast the weather conditions in the future. Such people would include campers, enthusiasts or runners who have to plan their trips in advance. Still on purpose, you can now find a station for home or a portable station. A home station is large and will have multiple instruments integrated to deliver comprehensive analysis. It is different when it comes to the portable station. This type of station will be smaller and quite useful for a person who loves travelling. You simply need to deploy it wherever you are and it will take measurements. All the various types of stations will have the types of data that can be collected. Some might involve having to collect temperature, rainfall, wind speed, humidity, and pressure. Those are just the basic things you might want to collect. However, in some cases, the owners of the stations might want to collect more data. Well, in such cases, you will need to get the advanced tools. Some of the common additional data that people would love to get include UV data, leaf wetness, soil condition and additional rainfall. Such type of information can be quite important to the farmers who want to know when and where would be the best to plant their crops. The weather instruments often come as either wired or wireless. You would want to choose the right one depending on various connectivity options. The wired system is where the systems are connected to the controls using wires. This type of weather station will need a lot of careful mounting and installation time. You have to be sure about how the mounting is done so that you do not end up messing it up later on. The wireless connection instruments are often quite easy to install. You simply need to make sure that the instruments are within the communication range. Such instruments might be unreliable because of signal interference in some cases. In order for the instrument to work correctly, some might need a power source they can utilize. For most wired instruments, they would need to be connected to an AC power source or sometimes they will run on batteries. Some high-end stations today often come with a solar panel. This means that you get to deploy them whenever you want and get the accurate results without worrying about a power source. It is only after installation that you will feel it is time to use the instruments now. The installation needs mean that you have to get the right tools to handle the installation first. The installation has to be done right if you want to end up with the correct readings from the different instruments. Follow the instructions as given by the manufacturer to ensure it all works out for you. Before you can decide to set up the station, what comes to mind is asking yourself about the amount of space you have available. It is from such space that you will be guided to choose the appropriate instruments to use on your property. Even if you want to gather a lot of data, each person will always have a budget in mind to keep. The budget sometimes can act as the final decider on some of the instruments. If an instrument is too expensive, you are likely not to buy it. The best thing to do with a budget is make comparisons. Take the time to compare between various components available on the market first before making a decision. What is next for weather enthusiast? 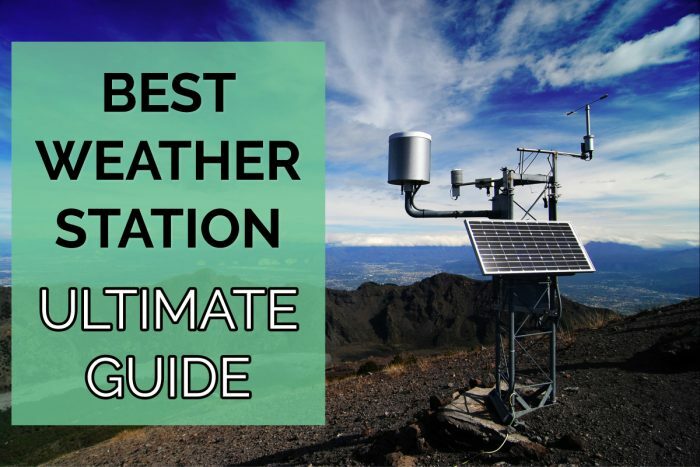 Many people often find themselves in a dilemma when it comes to choosing the right outdoor weather station to choose from the many available. At least from today, you will have an opportunity to know what to look for. Remember to follow the buying guide whenever you find yourself not able to come up with the right list of instruments you need bought. Having a weather station close to you should actually help you make better decisions about a number of things in your life. Get out there today and find yourself the right station to make your life easier.